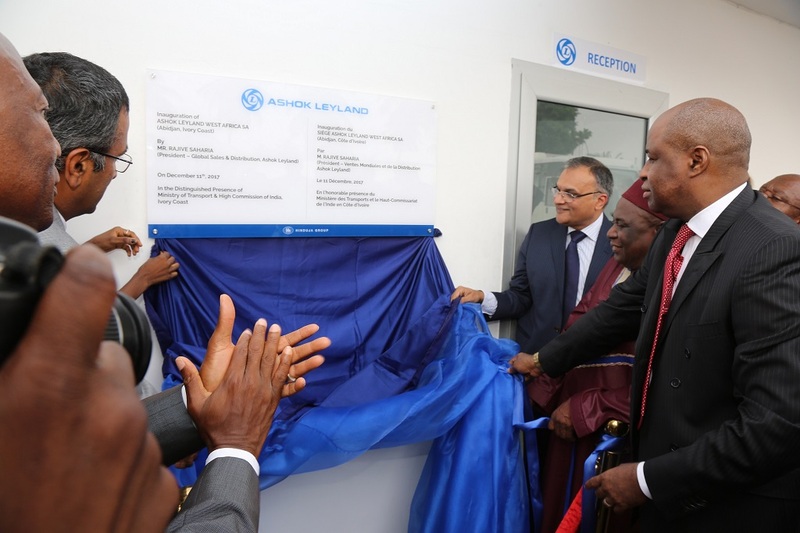 12th December 2017, Abidjan, Ivory Coast: Ashok Leyland, the flagship company of the Hinduja Group, announced significant investments in the African continent and today, has launched its West African Headquarters in Abidjan, Ivory Coast. This modern facility with state-of-the-art capabilities comprises of the Regional Marketing Office, Genuine SpareParts Warehouse (Leyparts), Training Centre and 12 fully-equipped Workshop Bays, marks its enhanced commitment to the Road Transport Development Fund. Ivory Coast emerges in Ashok Leyland’s global footprint and will serve as a central location for the Francophone region. Further strengthening its outreach here, Ashok Leyland, today, unveiled four dynamic products: Captain, Boss, Hawk and Mitr. 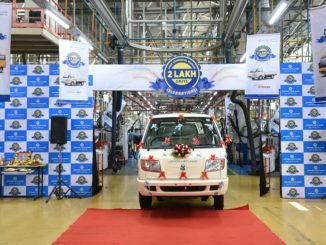 With the introduction of these four left-hand driven vehicles, Ashok Leyland is making a strong statement in its growing international presence. Extensive on road product trials have been carried out with various customers in the country. Products with modified vehicle specifications have been introduced to suit the needs Ivorian customers. The launch ceremonies took place in the distinguished presence of the Honorable Minister Mr. Amadou Kone, Minister of Transport in Ivory Coast, Mr. Ravindra Kumar, Ambassador of India in Ivory Coast and Mr. Rajive Saharia, President of Global Sales & Distribution, representing senior management from Ashok Leyland. The new facility in Abidjan provides the company’s specialist team a dedicated space to carry out Pre-delivery Inspection, an innovative practice to ensure all aggregates function optimally and complete assessments of vehicles. To service the range of products being introduced, the workshop area is equipped with state-of-the-art pneumatic tools and equipment including the latest accident repair equipment, washing unit, warranty room and more. This facility will also ensure Ashok Leyland’s team to remain at the forefront and work at ground zero with faster turn-around times. From customizing the vehicle, facilitating vehicle inspections, ensuring logistics and handing over vehicles – Ashok Leyland will take full responsibility and ensure complete and comprehensive service. The Company has taken these steps after carefully studying the local needs of the market. 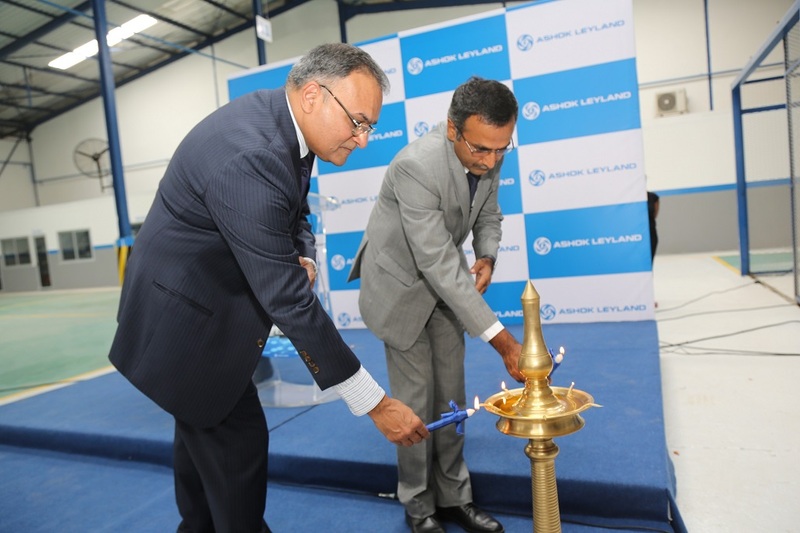 This facility is a testament to Ashok Leyland’s commitment to strengthen its presence and promote complete peace of mind for the discerning customers. Customer service is at the core of Ashok Leyland. To enable smoother operations and reduced downtime, Company is introducing Workshop On Wheels (WOW), offering a fully loaded package of vehicle repair services at the doorstep and SASSY workshops (Service and Sales to Satisfy You), container workshops that will be stationed at Korhogo, San-Pédro, Bouaké, Abengourou and Man. With strategic placement of these workshops, Ashok Leyland strives to create an approachable brand experience and reach out to every customer in Ivory Coast. Yet another pioneering initiative launched on training mechanics, operators, drivers and customers is backed by innovative training solutions. The facility houses an operational training arena for theoretical lessons & live practical demonstration for aggregates assembly. Knowledge on Wheels (KNOW), is a state-of-the-art mobile training vehicle equipped with the infrastructure without them having to travel to Abidjan. Mr. Arijit Dutt Chowdhury, Head of Project Sales, International Operations, said, “After sales service experiences and training programs are becoming key differentiators for the commercial vehicle industry. 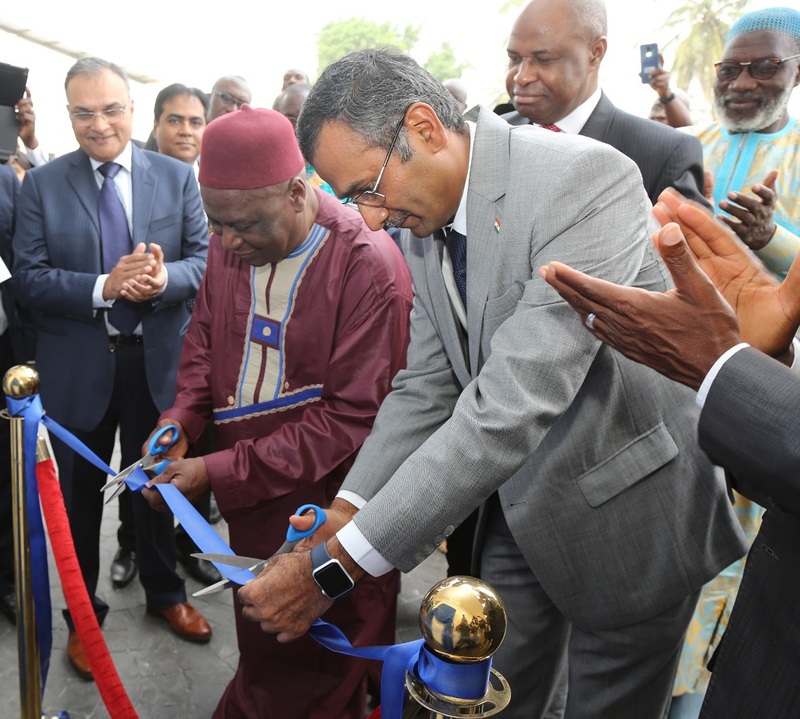 Unique Initiatives such as this are industry-firsts by a manufacturer in Ivory Coast”. Highlighting a recent training program conducted for the mechanics, he added, “A dedicated team of 27 mechanics and senior technical experts have undergone a 35-day specialized training program at Ashok Leyland India. These highly trained experts will ensure consistent emphasis on the need for training, in turn enabling the utilization of this center”. The CAPTAIN range of tippers are designed with superior structural strength to carry out heavy payloads and operate smoothly in the toughest construction sites of the country. The fully suspended cabin, air conditioning, music system and mechanically suspended driver seat with multi-level adjustment, offer best-in-class ride and handling. Ashok Leyland introduces the BOSS, to support the workforce in the agricultural sector. The BOSS offers comforts that will be setting benchmarks in the commercial vehicle industry. An ergonomically designed dashboard with intelligently placed controls and multi-angle adjustable seats, a steering column comes with tilt-able and telescopic movements and a 2-point suspended cabin offers comfort and convenience. Two new buses were introduced, Mitr & Hawk. Mitr, a premium staff transport for intra-city commutes, offers a first-class experience for both drivers as well as passengers. Featuring superior manoeuvrability and fuel-efficiency, Mitr takes comfort, safety and profitability to the next level; while the HAWK buses will glide along the city streets and suburban roads of Ivory Coast. The two pneumatically operated doors will help passengers alight the bus from front as well as back. Ashok Leyland had received an order worth $200 million from the Ministry of Transport in Ivory Coast funded by Exim Bank of India. A total of 3600 vehicles had been ordered and will be delivered to several customers starting today through the Road Transport Development Fund, Ivory Coast. This order is a part of an initiative by the government to empower people, create more entrepreneurs, more jobs and for better economic development for the country.